Wall Mount Bike Racks Charlotte, Wall Mount vertical bike racks Charlotte North Carolina. 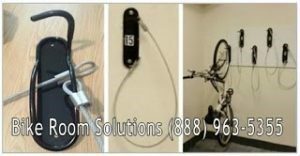 Wall Mount Bike Racks Charlotte. 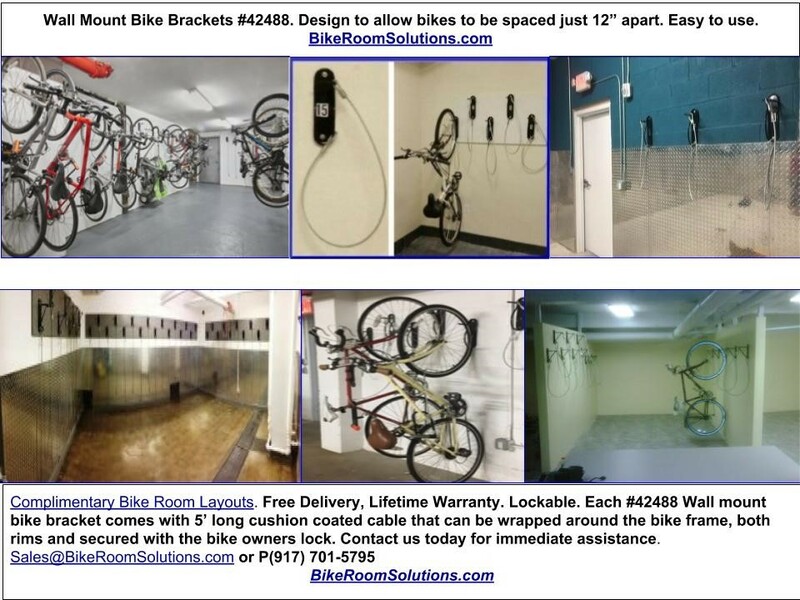 Store bikes just 12″ apart, Easy to use, Locking, Complimentary Bike Room Layouts, Generates Revenue. Free delivery in North Carolina. Designed to create space saving, Biker Friendly bike rooms. Each #42488 Wall mount bike bracket is manufactured with cushion coated powder coat steel in a medium gloss, Powder coat finish. Charlotte’s Bike Paths has increased the need for space efficient bike storage. Wall Mount Bike Racks Charlotte. Space saving, Easy to use. Locking, Complimentary layouts. #42488 Bike Brackets can be centered every 12″ when space is tight. We alternate the heights of our brackets 64″ & 74″ from the cushioned bike hook to the floor. If the bike room is spacious we install the brackets on 24″ centers all at 64″ high. Then if additional bike storage is needed, The can be placed in between the previously installed bike brackets at 74″ high. Wall Mount Bike Racks Charlotte. Store bikes just 12″ apart. 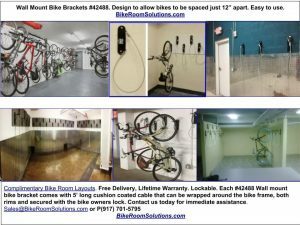 Free bike room layouts. Our Bike Techs provide Complimentary Bike Room Layouts daily. Feel free to use the form in the above link or email us for immediate assistance. With our bike layout we also provide bike room set up tips to help create a maintenance free – self managed bike room. ie: of the bike room walls are sheet rock, We suggest adding plywood supports over the bike walls 22″ high x 2″ thick. Prior to installing the #42488 wall mount bike brackets consider painting the bike walls and plywood supports in a matte or semi gloss finish for easy removal of dirt marks with a wet cloth. Or add aluminum tread plate as shown in our pictures for an awesome bike room look. Wall Mount Bike Racks Charlotte, Wall mount bike racks Charlotte NC, Wall Mount vertical bike racks Charlotte North Carolina. Wall Mount Bike Racks delivered daily to Charlotte, Raleigh, Greensboro, North Carolina. Call (888) 963-5355 or P(917) 701-5795 Or complete and submit form in link below for a complimentary bike room layout.